If two people are destined to be together, the two will eventually find their way to each other crossing the barriers of distance, age, religion or language. This is something that’s been proved over and over again by famous celebrities who have got married to foreigners. 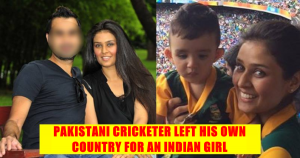 But here is a cricketer from Pakistan who left his own country for the love of an Indian girl. 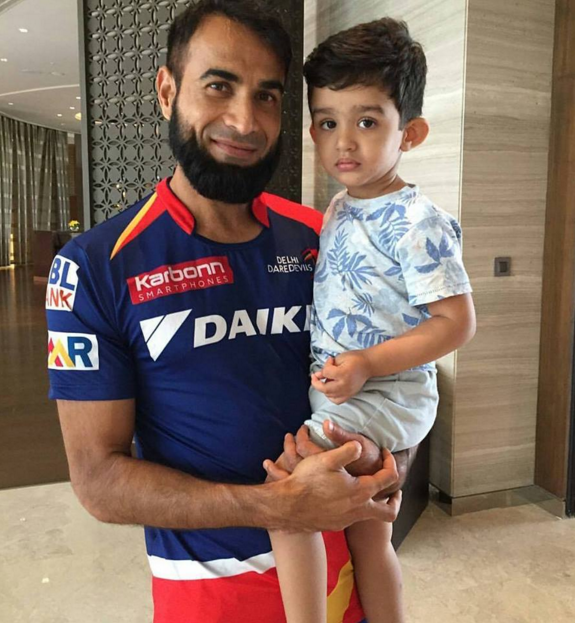 He is none other than Imran Tahir. Though he now plays for South Africa, many don’t know that he is a Pakistani cricketer. While Imran Tahir was Pakistani Under-19 cricketer, he fell in love with India-origin South African woman Sumayya Dildar. That time, he knew that he can’t afford to lose her. Thus, he decided to leave his country and settle in South Africa. He got married to her and went on to become an international cricket player for South Africa. In 1998, when Imran Tahir visited South Africa as a U-19 Pakistan player, he met Sumayya and instantly fell for her. After coming back to Pakistan, he was still thinking about her. Then, he decided to leave Pakistan and go South Africa to Sumayya. Not many know about this because the Internet was not that popular at that time and social media didn’t exist. Finally, the right-arm spinner managed to impress Sumayya and she agreed to marry him on one condition that she will not leave South Africa. It was really a big thing for Imran but not bigger than the love he had for her. Thus, he left Pakistan in 2006 and continued to play domestic cricket in South Africa for 5 years. Imran Tahir played his debut for South Africa in 2011. Imran and Sumayya are happily married and are blessed with a son named Gibran.